On 19 January 1878 Herbert Chapman was born. 132 years later, he still has a convincing claim to be the greatest of all football managers. Best known for turning Arsenal from a middling First Division side into the great powerhouse of the pre-war game, he just as remarkably delivered an FA Cup and two league championships to Huddersfield Town, as well as establishing the momentum for their third. Chapman was a great innovator, modernising football formations and presenting compelling cases for numbered shirts, artificial pitches European club competition and floodlit matches. Chapman died on January 6 1934, mid-way through Arsenal’s hat-trick of titles, as a giant of the game. 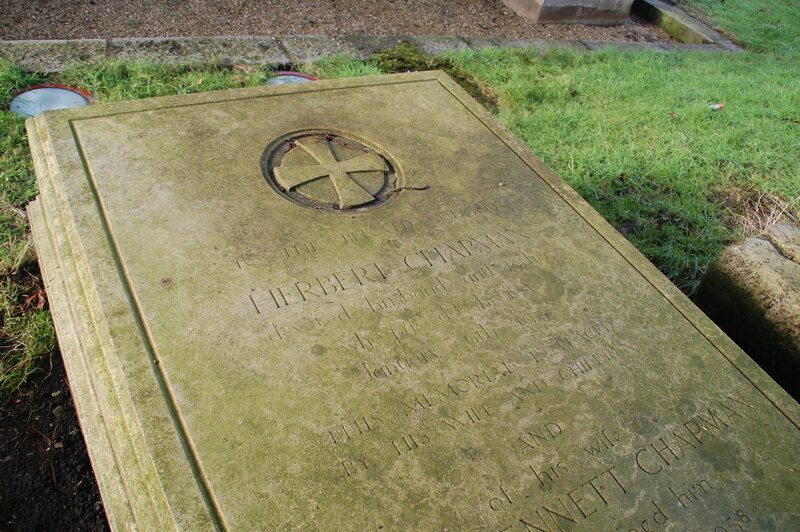 He is buried in St Mary’s Parish churchyard in Hendon, north-west London with his wife, Annie Bennett Chapman. Annie lived to see Arsenal win four more titles, passing away in 1958. I paid a visit here with my youngest son, still too young to argue with such a silly outing, on Sunday. The churchyard is quiet, with a rural feeling harking back to Hendon’s pre-suburbia village life. It’s a pleasant, peaceful place to visit, though the wind gets up a bit on a Saturday afternoon if Arsenal are losing. And if you’re not in the area, there’s the Herbert Chapman pub on Holloway Road, bustling on matchdays, and the old East Stand at Highbury which his achievements made possible. Happy Birthday, Mr Chapman.